Our corporate service assists hotels, restaurants, private jets, commercial airlines and other businesses in providing the most desirable products to suit their needs. Macarons, amenities, catering, viennoiseries and more as elegant offerings for their clients. We offer personalization services to distinguish your customer experience. Print your business name or logo on our macarons and ribbons or even customize your own boxes. Our dedicated corporate sales team will assist you in selecting the best luxury gifting options and personalization services. Our corporate service will support your business through different moments of gifting and celebration and provide guidance for establishing a polished and lasting impression. Ladurée will make your celebration unforgettable. Our team offers bespoke services to create distinguished and memorable experiences for you and your guests. 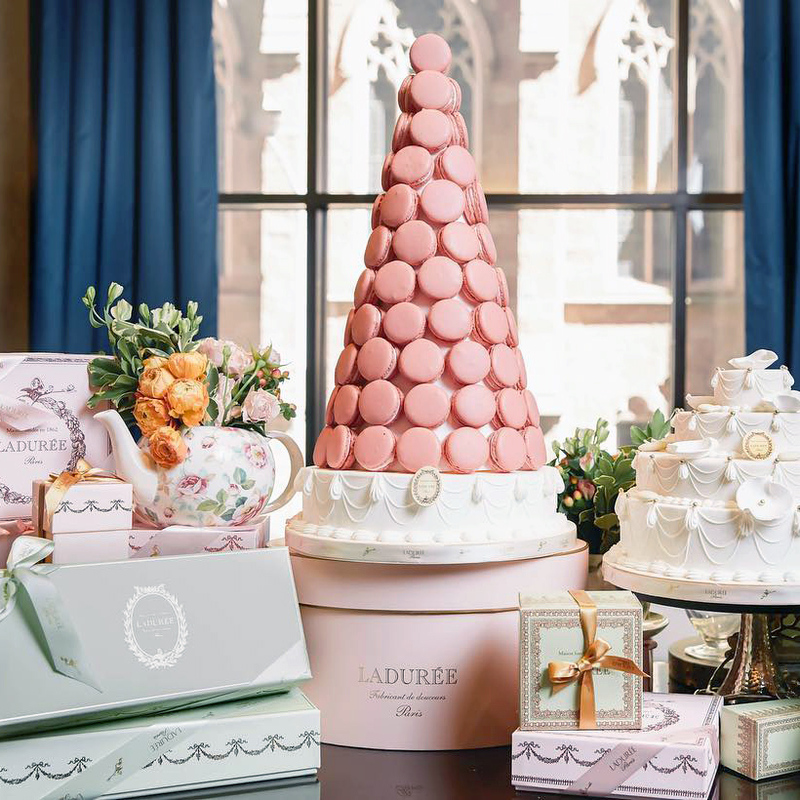 Ladurée is the perfect location to host a wide range of events: press days, product launches, team building, holiday parties, receptions, corporate breakfasts, lunches and dinners, among other gatherings.